In our COLLECTIVE opinion, Día de los Muertos is a lovely ritual. In honor of the departed, folks celebrate with prayer, dance, and altars of food, drink, and sugar skulls. It's dynamic and beautiful, to say the least. 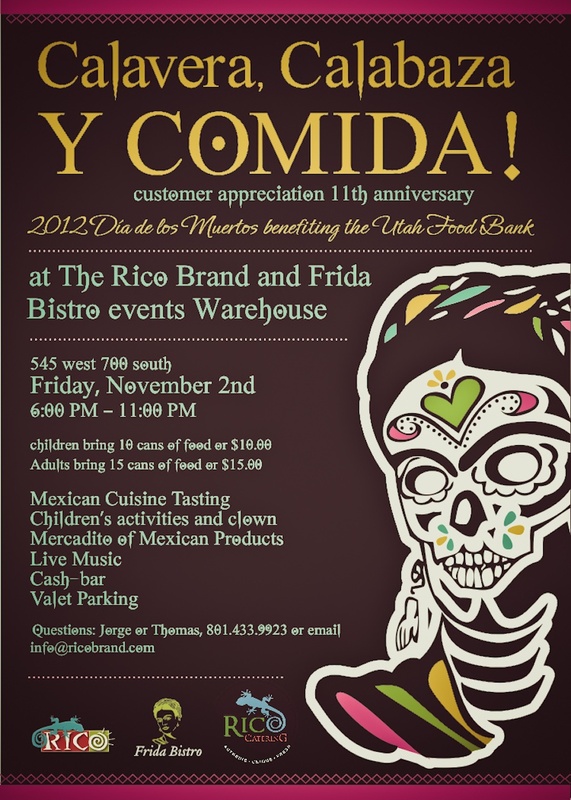 Come to the 11th-annual celebration at The Rico Brand and Frida Bistro Events Warehouse on Friday, November 2nd. Entry is $10 for kids, $15 for adults, or you can benefit the Utah Food Bank by bringing 10 cans of food for kids, 15 for adults. Live music, cash bar, good time. See ad below for additional information.